Needleleaf Bluet (Hedyotis acerosa), Sanderson, Texas. Photograph by Gertrud Konings. Geographic Range: Trans-Pecos Texas and southern New Mexico south to San Luis Potosí. Plant Form: Perennial subshrub or shrub. 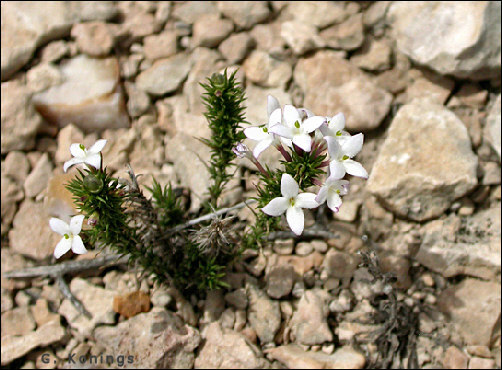 Remarks: Also as Houstonia acerosa.